Does your dog have way too much energy? Here are some things you can do to right now to calm down your energetic dog. There are several breeds that people love to keep as pets because their cuteness factor is so high. These breeds tend to have shiny coats, winning personalities and the ability make any heart melt. They also share one more trait: energy level. 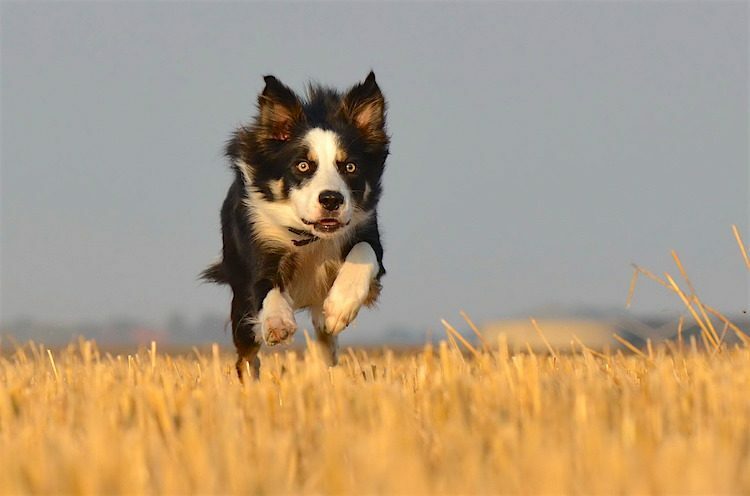 According to the American Kennel Club (AKC), the above breeds are some of the highest-energy breeds out there, and that trait isn’t limited to just those breeds. Several others share the same need for stimulation. And with mutts, all bets are off. Sound familiar? If you have a dog with boundless energy, this could be a sound you hear quite often. The excitement and energy of your dog combined with that antique vase that your favorite aunt left you (which is now in pieces on the living room floor) is usually a recipe for disaster. If your dog shows a tendency toward destruction, it might be a good idea to find out why — before your house is in shambles. Bored dogs are mischievous dogs. They will look for both mental and physical stimulation anywhere they can find it. Dogs don’t maliciously cause wanton destruction, so if you have a dog who routinely destroys pieces of your house, boredom might just be the cause. Another way boredom manifests is through their behavior with you and other people. Every dog needs mental and physical stimulation. How much depends on their personality and breed. Before bringing home your adorable new pet, be sure you understand their energy needs and have a plan in place to meet them. Go for longer walks, or amp up the fitness level and try for a jog. Spend time in the backyard letting them chase balls, sticks and toys that you toss. Take them to the dog park and let them socialize with other dogs. Head to an obedience class. Be picky — choose one that will help your dog expend energy as well as learn. Is your dog a swimmer or water lover? Find a place where they can swim safely. Exercise is simultaneously the best answer and yet the most underused solution to problems with bored dogs. Before deciding on what kind of dog you want to add to the family, take time to do some research. For example, say you just have to have a Belgian Malinois. You bring home your new Mali and, within a week, they’ve destroyed their crate, eaten a wall and managed to somehow tear up the new living room carpet. You’re at your wits’ end, but this problem has a simple solution — training and exercise. The Mali needs a ton of exercise to be happy, and they’re smart enough to entertain themselves if you don’t provide it. Talk with your dog’s veterinarian and find out how to set a good exercise regime for your pet — and be prepared to adjust it through their life cycle as their needs change. It may be difficult to find enough time to provide the right amount of stimulation for your dog. This is where dog walkers come in — they come to your pet’s location and take them out for a walk, which provides both physical and mental stimulation. The walk can be tailored to your pet’s individual needs, and a good dog walker will be happy to do that tailoring. Take it from me, one of those very dog walkers! Typical walks or visits last for about 30 minutes. The time can be spent outside walking or in a combination of walk and then some play with a ball or toy. 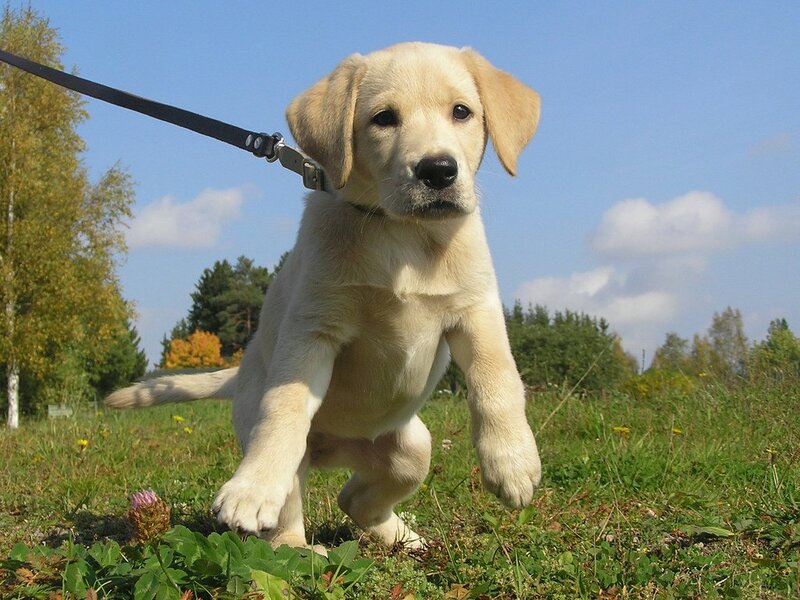 A great walk consists of plenty of movement and plenty of stop-and-sniff time. Remember, the dogs need to exercise their mental muscles too. It also provides human interaction in the middle of the day and helps with socialization. So scout around for a dog walker with experience in handling high-energy dogs. Have this person’s phone number handy so she can take your Doggy Dynamo out for a walk, run, swim or play date when you’re not able to do so. For some dogs, long walks aren’t always the answer. Some may be disabled, are not leash trained or live in an area where long walks aren’t always feasible. There are some other solutions to the energy problem. A dog’s sense of smell is the keenest of their senses, and they love to use it. One way to engage your dog’s interest and burn some energy is by teaching them nose work — an activity based on scenting. In nose work, you’ll hide various items and teach your pet to find them based on a key word or phrase. You can check your area for nose work classes or purchase a kit to help teach your dog. 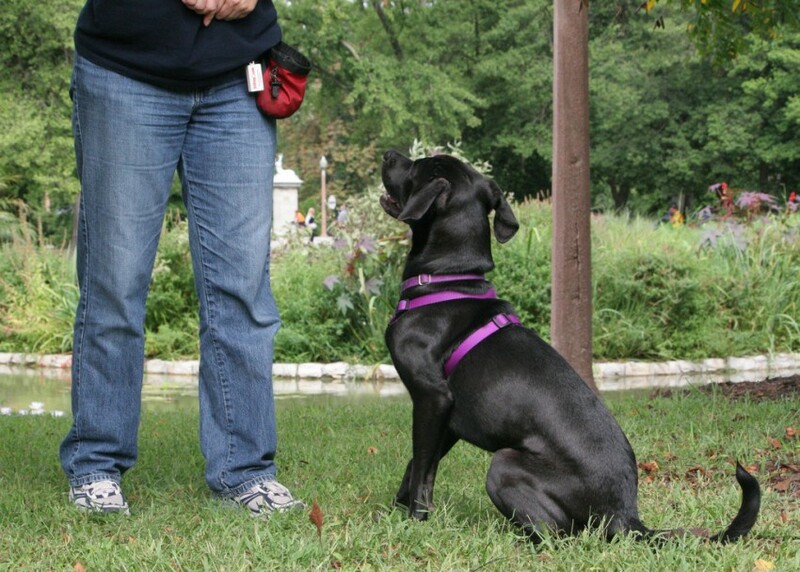 Clicker training is simple and effective at helping train your dog for the behaviors you’d like them to exhibit. Once you have determined that your dog is getting the exercise they need, clicker training can be a great next step. Your first step is to get a clicker. Usually they are small, simple devices that can fit in the palm of your hand. Teach your dog that the sound of the click means “treat” by clicking it and then giving the dog a high-value treat. Soon they’ll connect the sound of the click with the reward you give them. This next part takes a little practice. Click exactly when your dog exhibits a behavior you would like them to learn. For example, if you want to teach the dog to lie down, when you see them lie down on their own, immediately click the clicker and give them a treat. Practice. 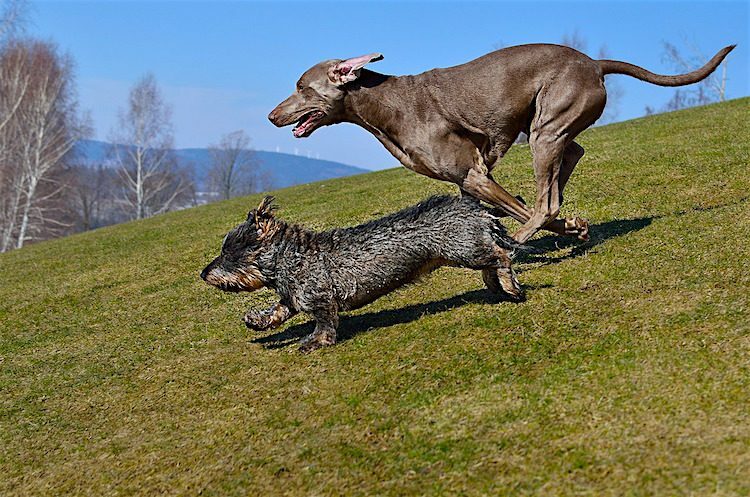 Your dog will realize that the sound of the click means you want them to exhibit this behavior. They’ll start lying down when they hear the click. Just don’t forget to reward their excellent behavior. The great thing about clicker training is it can work for many different behaviors. Give it a shot! Dogs who are reasonably well socialized have the option to attend a daycare. Many doggy daycares provide outdoor time, playtime and socialization for your dogs. Cleanliness of the facility. Ask to tour the pet areas, and look around to make sure there is not an overabundance of feces, dirty play areas or broken equipment. Ask what the protocol is if a pet is injured. It happens, and a good daycare facility will have an immediate plan to get dogs any medical care they need. If their answer is along the lines of “Uh, we call you…” and that’s it, you might want to find somewhere else. They should indeed call you, but they should also have a plan that allows for pets to get care right away. Look at the animals currently attending the daycare. Are they being watched over and engaged with? Are there any animals in distress? Are there animals being intimidated by other dogs? Is the staff responsive to the animals? A great doggy daycare will also insist on an interview with you and your dog, and possibly an evaluation. They need to protect all their charges, so they should ensure that your dog will be a good fit for their daycare and not put other pets at risk. They should also insist on proof of vaccinations from all their clients. Again, at the end of the day, the real answer to an energetic dog is exercise, plain and simple. Not providing for these needs will make for a difficult dog–human relationship. The real tragedy is when an overwhelmed and unprepared person returns or leaves a dog at a shelter because the dog is “too energetic” or “too destructive.” In most cases, that issue is easily addressed with the proper research, care and attention. If you’re thinking of adopting a dog, sit down and look up what kind of energy level your breed might have. It could save your sanity, your home and their life. And if you already have an energetic dog, yes, they can certainly be a handful. But please remember that pets can be the most joyful experience ever. They will make you laugh often and remind you how great it is to have them in your life. Just don’t forget to give your energetic dog the exercise they need — otherwise, you may need to invest in rubber furniture. This article was originally published in 2009 and has been updated regularly over the years. It was last reviewed for accuracy and updated on Nov. 5, 2018.